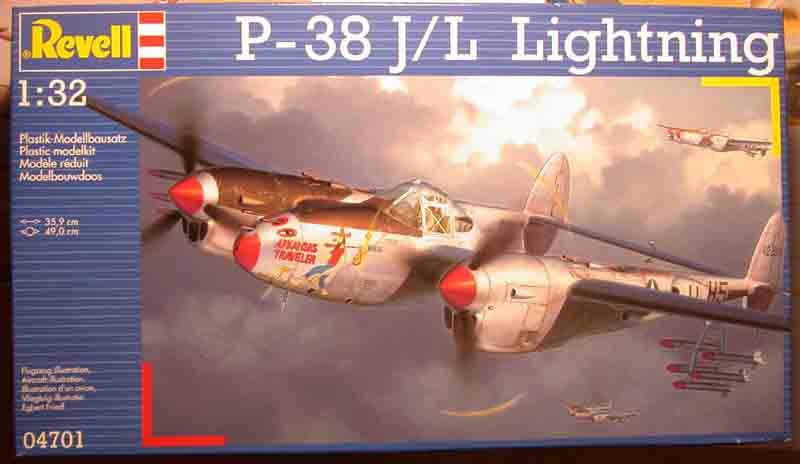 I'm surprised at the P-38's omission from this build! I'd like to offer my attempt to build one. The first Revell P-38 that I built about 30 years ago is still in my possession. This would be good practice for getting back into the craft. I was so hoping someone would step up with an old Revell Lightning! Welcome to LSP, and break out the Peter Three Eight!! I second Chris' comment of the P38. It's my favorite W.W. II aircraft & would love to check out your build. Good to see the P-38 in the GB. Ok, time to get started. Since it seems to be traditional, here's the kit I'm using. Now if I can figure out a way to post an image. I need to improve my reading comprehension or slow down. My first step is the cockpit. Try improve on the kit supplied parts. Using information I already have, I'll make a new instrument panel, walls and seat. Maybe a metal seat as described in another topic. I'm also trying to decide which aircraft to portray. Putt Putt Maru would be my first choice, but not finding any decals, I'll probably stick with Arkansas Traveller. Being a native Arkansan, I can relate to that. Working on the cockpit and front landing gear bay. I'm going to use the existing front landing gear bay with modifications. The cockpit will be scratch built. 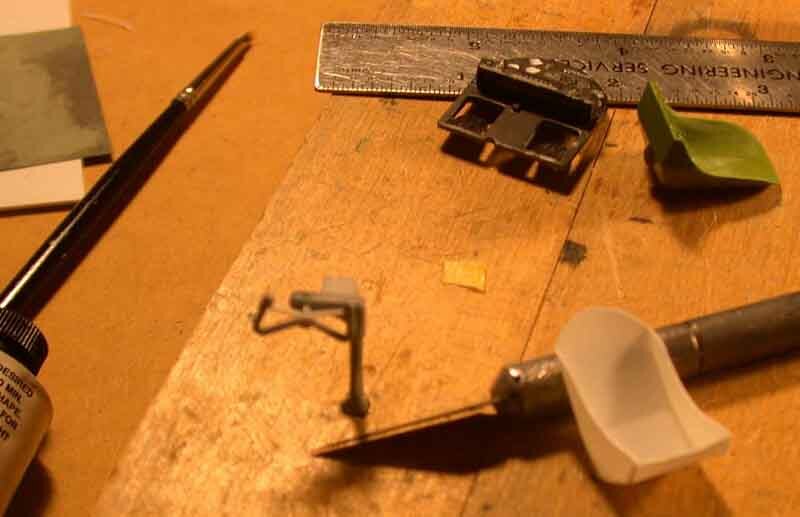 Being an engineer still with my drafting set. Measurements were made of the kit parts for the center pod. 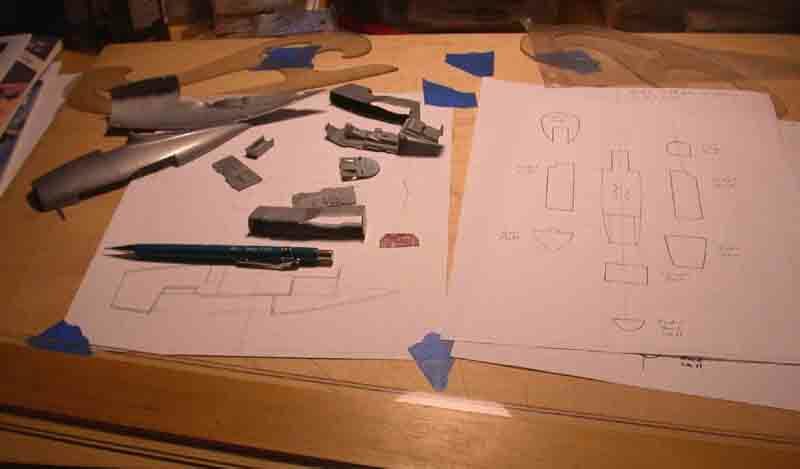 Dimensions were laid out on another sheet for the cockpit parts. A copy of the sheet will serve as a template. I'm hoping this gives me a good starting point. Well, other events have interferred with this project. There is no way I'll complete this by the deadline, but I'm going to continue to move forward. Here's a picture of my first scratch built seat. In my opinion, it looks better than the kit version. The control wheel was also modified to look more accurate.